We Speak English, Farsi, Spanish and Turkish, to serve you BETTER! 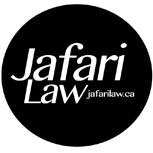 Welcome to Jafari Law where we offer customized legal representation for your differing legal needs. We serve the legal needs of domestic and international clients in a variety of areas of law, and do so in four languages—English, Farsi, Spanish and Turkish. Thank you for taking the time to visit our site. Please feel free to contact us with questions or for a consultation. 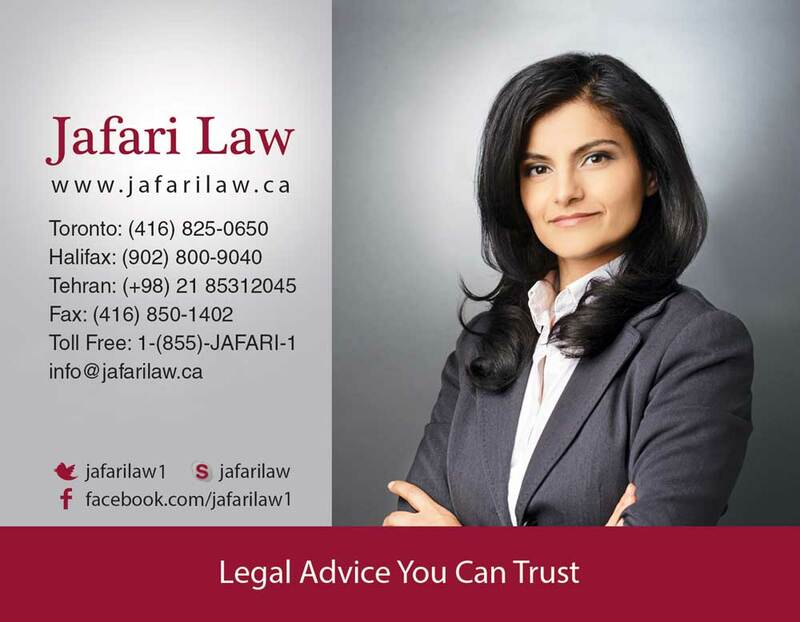 At Jafari Law, we understand how stressful legal matters can be. Our dedication to customer service means that you bring us your legal concerns and we bring you the peace of mind that your legal matter will be tended to with utmost care and professionalism. We are diligent in understanding your needs and priorities to ensure the most appropriate representation strategy for your situation. From intensive work in immigrant communities in Canada and abroad, to owning and operating a mid-sized corporation, to drafting policy for foreign governments, founder and lead counsel, Pantea Jafari, is well versed in understanding the needs of multiple stakeholders. She has worked with governments, NGO’s, international law firms, and immigrant communities to develop a practice that demonstrates excellence in representing the differing needs of each client. Please feel free to contact us for a consultation, or with questions or concerns. I really appreciate all of your efforts and good advice on my recent work permit application. I was surprised that my application was concluded so fast. This wouldn’t have happened without your advice. I would definitely choose you for my future legal needs and it is such an honor for me to have my comment on your website. I should also thank Daniel for his emails and regular follow-ups. Actually, I should say that I was really lucky to have Ms. Jafari as my lawyer. She was the only one who always gave me information and positive vibes during the immigration process. I am truly sure the only reason I got my visa was her efforts. She is the only honest person I’ve seen because I was disappointed with my previous representatives. Words can’t explain my happiness. Today, I’m delighted because of her. I hope to have chance to see her when I arrive in Canada. It would be my honor to work with her in the future.